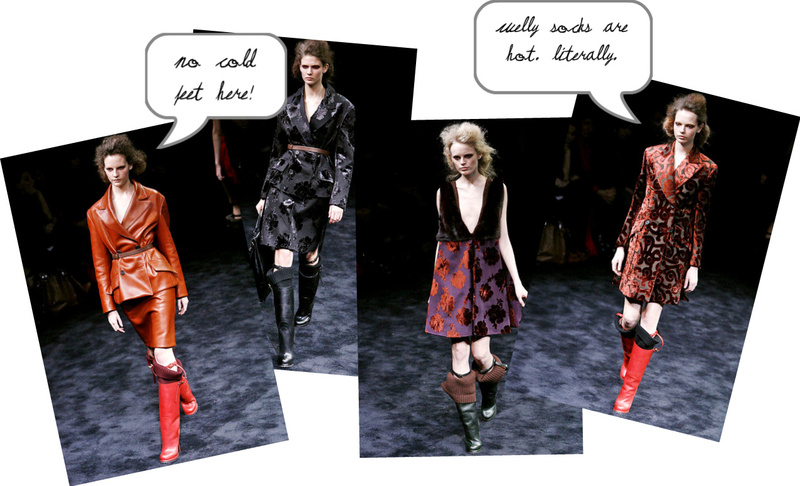 Just what I need for this crisp autumn weather, a darling assortment!! These are great! They look sooo warm. Yum! These socks look so comfy. 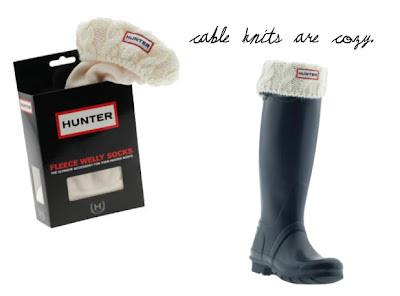 I broke out my wellies yesterday as it's been raining non stop here and I could really use a pair! I've got some TB ones from a few years ago that are black with brown leather and logo around the top and I can't wait for a big fall rain to wear them! 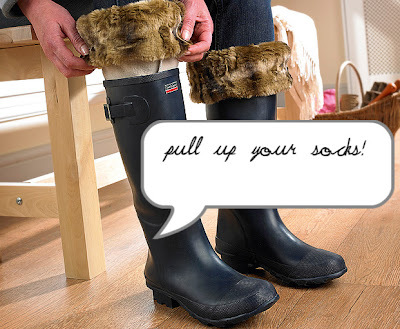 Love the war of the wellies! How an iconic working boot has transformed into a high fashion staple. The inserts are really fun and fashionable. 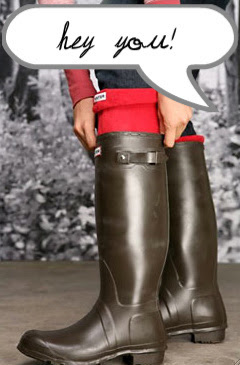 I LOVE THESE WELLIES! The socks are just darling too! i am only 5'3", so I try to wear some heel on a boot, but wellies seem to work. Thank you for posting this, because I need some socks to go with my pair! Perfect for rainy fall days and I think the colorful ones would just put a smile on your face! I've been hunting for the perfect boots for my daughter for her college classes, & with the liners would be perfect for those cold/wet N.West days. 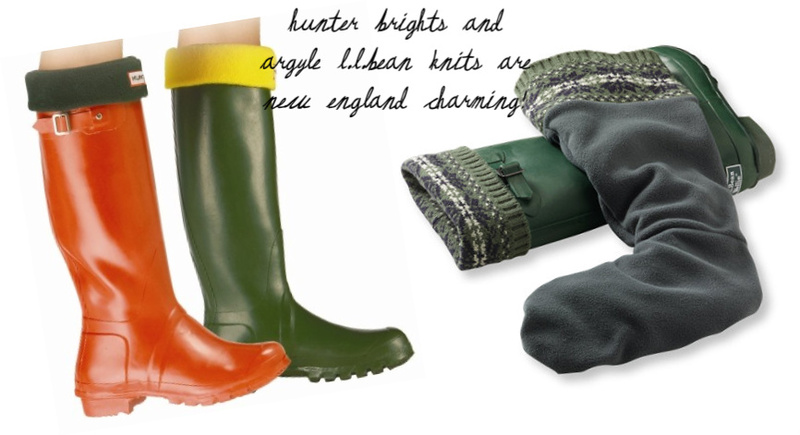 for the last "year" I've been trying to figure out what color Wellies to get.... I'm currently thinking the gray gloss wellies?! or should I go classic green? I do love the classics..... life can be so difficult sometimes;)! !